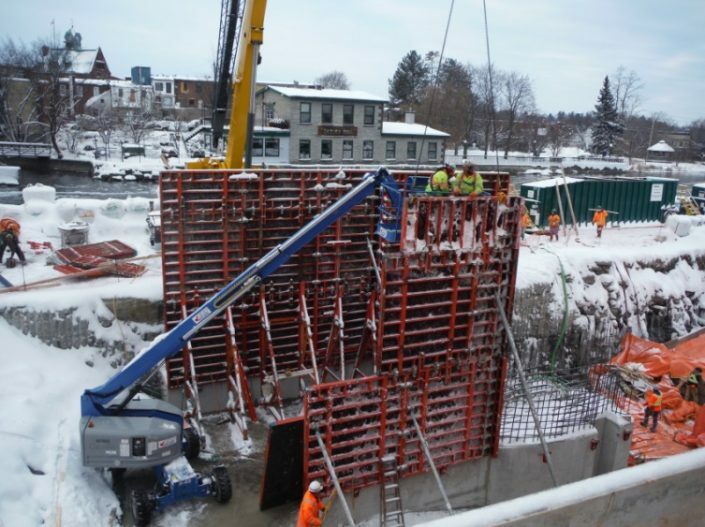 In order to maximize the waterpower potential of the Mississippi River at Almonte, in addition to contributing to Ontario’s Green Energy initiative, Enerdu Power Systems Inc. is undergoing expansion and redevelopment of its existing hydroelectric waterpower facility. The project site is located on the Mississippi River at 11 Main Street in the Town of Mississippi Mills. All appropriate Federal and Provincial government departments and agencies have reviewed the plans and studies in great detail and after six years of great scrutiny have approved this project. This is a project that both the Town of Mississippi Mills and Enerdu will be proud of for years to come. 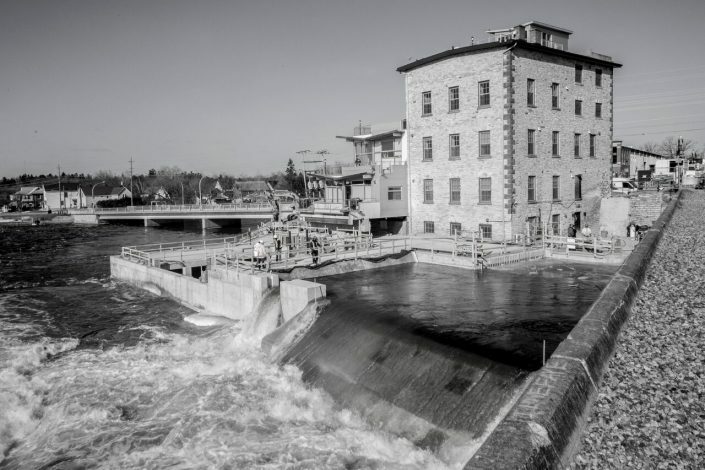 Clean, benign, green energy project which will provide locally produced electricity to approximately 150 homes and business in Almonte, responding to the Provincial Government’s Hydroelectric initiatives. 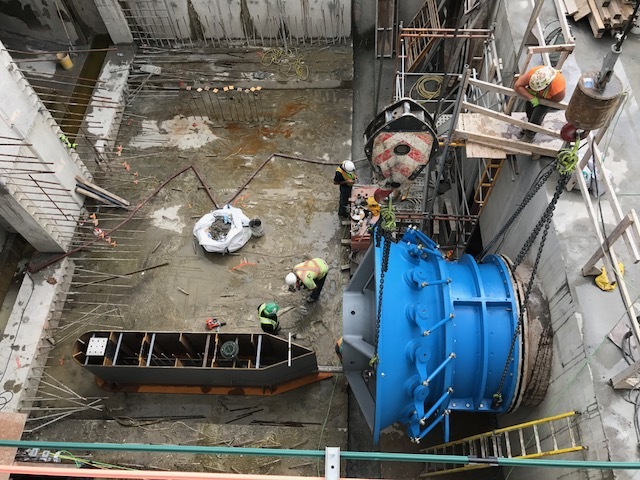 The total budget for the project exceeds $10 million, made up of approximately $4 million in civil works, $5 million in equipment, and $1 million in electrical and controls. All civil work has been awarded to local companies, including Thomas Cavanagh Construction, and $4.5 million of the equipment and electrical budget has been sourced locally. The design of the new building was created by the Town’s Design Advisory Committee, working with the renown Heritage Architect firm The Ventin Group. The new weirs that form part of the project will add to the Mississippi Valley Conservation Authorities toolbox to deal with flood waters. With great precision, the inflatable weirs can be adjusted to either hold back or release additional water as directed by the Conservation Authority. 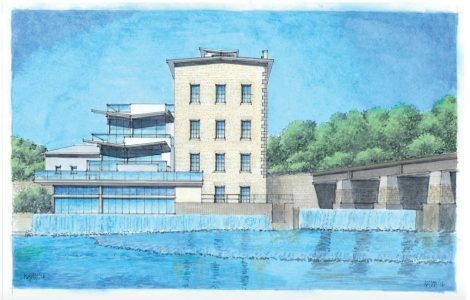 In addition, the old powerhouse will be used as an additional bypass to give even greater flood control capability. During the public consultation, the issue of fluctuating water levels was raised as a concern. To alleviate this, Enerdu will be operating at a constant water level of 177.7 by automatically adjusting the amount of water flowing through the plant. This will significantly benefit both the environment, by reducing shoreline erosion and allowing wildlife to thrive, and the society, by making seasonal activities like boating, kayaking and fishing possible because of diminished water level fluctuation. The new plant will provide the first upstream and downstream American eel migration methodologies on the Mississippi River. The Algonquins have long demanded that hydroelectric facilities develop mitigation measures and the new plant will have state of the art strategies employed. Downloadable documents relating to the Enerdu Project. Please email info@enerdu.ca to contact Enerdu with any questions or concerns you may have. 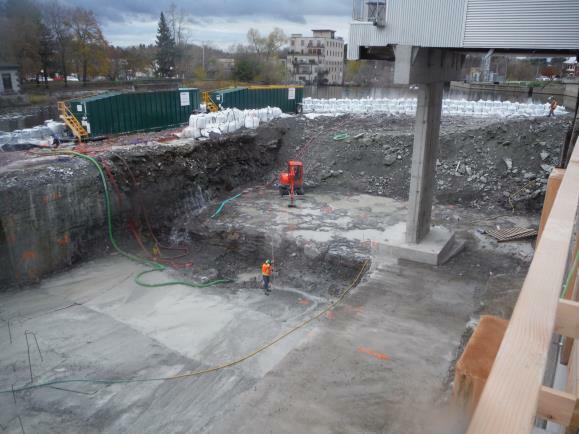 Follow us to stay up to date on all the latest Enerdu progress.